International conference on communication of signal processing. April 2013 paper published in conference proceedings and IEEE Xplore Digital Library. B. Yepuganti Karuna, "Design of data dependent filter bank and comparison with data independent approach"
B. Yepuganti Karuna, " Design of Data dependent Subband coder for Image compression"
With Mani Deep. D, "‘Study of strength and durability on high strength concrete by partially replacing cement with GGBS and fly ash over acid attacks’ in International Journal of Civil Engineering & Technology (IJCIET), Volume 08, Issue 3, March 2017. With Subramanian.K and Bhuvaneshwari.P, ‘Experimental study on the flexural behavior of spherically voided slab’ in Iranian Journal of Science and Technology-Transactions in civil engineering. Presented a paper on ‘Suitability of composite castellated cold-formed steel beam to predict its contribution towards shear reinforcement’ in ICCIEE 2017 SASTRA University, Tanjore. The behavior of composite truss shaped cold-formed steel on a reinforced concrete structure for its contribution towards shear resistance in a beam-column joint. Attended an International Conference on “Theoretical and Experimental Advances in Civil Engineering” (ICONTEACE-2018) held in SRM Institute of Science and Technology in May 2018. Attended a Workshop on Book and Journal Publication and eBook awareness Conducted by Elsevier Publication on 16-02-2017. Attended an FDP on Finite Element Analysis using ABAQUS conducted at SRM University on January 2017. Participated in a two week (January-2016) ISTE STTP on Introduction to Structural Engineering conducted by IIT-Kharagpur. Participated in a workshop on BIM using REVIT and Structural Analysis using Staad.pro conducted at SRM University, Kattankulathur campus, Chennai. Undergone 30 Days vocational in-plant training at TNPWD, Planning and Design circle (Buildings), Chepauk, Chennai - 600005. 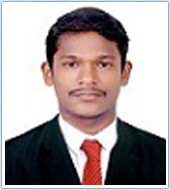 Working as Assistant Professor (O.G) in Department of Civil, SRM Institute of Science and Technology (formerly known as SRM University), Kattankulathur, from July 2014 to till date (3years). 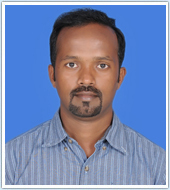 Worked as Assistant Professor in Department of Civil, Tagore Engineering College, Rathinamangalam, Chennai from June 2012 to May 2013 (1year). Attended a STTP on Robotics and Robot Applications organised by Department of Engineering Design of IITM from 21st to 26th June 2010. Attended a national seminar on RFID Technology in TIFAC Core, Sastra University. Participated in a workshop on "Embedded Software Testing – Saftey and Security" organised by SRM Institute of Science and Technology (formerly known as SRM University) on 29 September 2016. Attended a two-day workshop on MULTISIM organised by SRM Institute of Science and Technology (formerly known as SRM University) held on 30 June and 01st July 2016. Participated in Faculty Development Programme on Machine Vision during 13 - 17 June 2016 organised by the Department of Mechatronics Engineering, SRM Institute of Science and Technology (formerly known as SRM University). With Ahamed Ibrahim, Anbazghan “A New Symmetric Switched Diode MultilevelInverter Structure with Minimized Switch Count” IET Journal of Engineering, Online June 22,2017. M.A.J Sathik,Ramani Kannan,Mohd. FakhizanRomlie,” New Cascaded Multilevel Converter Topology Based on Basic Unit with Reduction of DC Sources “- IEEE Explore Digital Library”-CENCON 2015,Malaysia. M.A.J Sathik,, Abdullah, Yogesh Raj, “Modified new GSM Based Data Logger System with Two-Way Communication”-“IEEE Explore Digital Library”- INCOSET 12,India. “A study on concurrent drug utilization evaluation of antiasthmatic drugs in the tertiary care hospital” International Journal of Novel Trends in Pharmaceutical Sciences on February 2016, Volume 6, Number 1. “Comparison of knowledge, attitudes and perceived barriers towards adverse drug reactions reporting between Bachelor of Pharmacy and Doctor of Pharmacy students in Southern India” Journal of Pharmaceutical Health Services Research on March 2016, Volume 7, Issue 1. “Comparison of knowledge and attitudes about Antibiotics and Resistance, and Antibiotics self-practicing between Bachelor of Pharmacy and Doctor of Pharmacy students in Southern India” Indian Journal of Pharmacy Practice on 2015 Jan-Mar; 13(1):523. Evaluation of Tolerability and Safety of Beta-Blockers in patient with Cirrhosis and Esophageal Varices. Clinical Evaluation on Development of Drug Tolerance, Phenotypic Resistance and Adverse Drug Reactions in patients with Antiretroviral Therapy. A Comparative Study between ATG & BASILIXIMAB as Induction Therapy in Renal Transplant Recipients. A Study of Drug Utilization in patients with Acute Coronary Syndrome in a Tertiary Care Teaching Hospital. Assistant Professor, Dept of Pharmacy Practice, SRM College of Pharmacy, SRM Institute of Science and Technology (formerly known as SRM University) – October 2016 till date. Assistant Professor, Dept. of Pharmacy Practice, Sri Venkateswara College of Pharmacy, Chittoor. From Aug 2015 to Sep 2016. Assistant Professor, Dept. of Pharmacy Practice, Bharat Institute of Technology, Hyderabad. From Aug 2013 to June 2015. Participated in the National Seminar on HART & AIDS Awareness Program conducted by Annai Velankanni’s Pharmacy College. Participated in the International Symposium on Cardiovascular Disease Prevention on 21st & 22nd Feb-2011 Organized by the Faculties of Medicine and Marine Sciences, Annamalai University. Participated in the UGC Sponsored one Day National Level Workshop on Intellectual Property Rights, Patent Law and Commercialization of Patens on March-10th 2011 conducted by Department of Pharmacy, Annamalai University. Participated in the National Pharmacy Week Celebrations & PHARMAPRC-2011, Emerging Trends in Pharmacy Practice on NOV-10th & 11th 2011conducted by Sri Ramachandra University, Chennai. Participated in the CME Programme on Gestational Medicine- An Update on Medical Disorders of Pregnancy on 23rd-SEP-2011 Conducted by the Department of General Medicine, Mahatma Gandhi Medical College and Research Institute (MGMC&RI), Pudhucherry. Participated as a Delegate in the Pharmacy Council of India Sponsored Refresher Course for Community and Hospital Pharmacists Organized in Association with Tamil Nadu State Pharmacy Council Held on 7th-Nov-2012. Participated in the Continuing Professional Development Programme on Rational use of Antimicrobial Agents organized by the Department of Pharmacology, JIPMER, Pudhuchery, held on 29th-NOV-2012. Participated as a Delegate in the Indian Congress of Pharmacy Practice 2016 & 2nd Convention of the Indian Association of Colleges of Pharmacy at Le Meriden, Coimbatore on April 2nd & 3rd, 2016. Theme: “The Responsible Pharmacist: Transforming Patient Care”. With, AnchitChaturvedi, Shashank Kumar, “URL Phishing Analysis using Random Forest”, International Journal of Pure and Applied Mathematics, 118(20), 2018. With, Yashdeep Ahlawat, Vatsal Pandey, “Traffic Sign Recognition Using Raspberry-Pi”, International Journal Of Innovative Research In Management, Engineering And Technology, 2(6), 2017. With, S Darwin, D.G.Illayaraja, “Optimal Online Scheduling with Arbitrary Hard Deadlines in Multihop Communication Networks” International Journal of Computer Technology and Applications”, 8(2), 2017. With, Naveen P, “Proliferate Network Lifetime Using Manet In C-Mac”, International Journal Of Control Theory And Applications, 9(16), 2016. With, Pritam Debnath, “A Survey On A Reliable Method To Achieve Cohesion And Possession Of The Data In Cloud”, International Journal Of Pharmacy And Technology, 8(4), 2016. With, Pritam Debnath, “A Reliable Auditing Model with Secure Cloud Storage”, International Journal of Control Theory and Applications, 9(40), 2016. S. Jagadeesan, AnchitChaturvedi, Shashank Kumar, ” URL Phishing Analysis using Random Forest”, 8th ICSIE, Jawahar Engineering College Chennai, April 2018. S. Jagadeesan, “Traffic Sign Recognition Using Raspberry-Pi”, ICRTCT, Bharat University Chennai, April 2017. S. Jagadeesan, “Fully Homomorphic Encryption with Relatively Small Key and Cipher Text Sizes”, ICSTM, India International Centre Delhi, December 2016. S. Jagadeesan, “Wireless Sensor Network Security”, ICRISTME, Indian Federation of United Nations Associations Delhi, December 2016. S. Jagadeesan, “A Survey on Delay Reduction Techniques in Communication Network”, NCCNS-14, R.M.K Engineering College Kavaraipettai, March 2014. S. Jagadeesan, Uma Maheswari, “A Sustainable QOS In Routing Using SLEA Model In MANET”, NCFCSIT-14, Sri Ramanujar Engineering College Kolapakkam, March 2014. S. Jagadeesan, Sathya, “A Class Clustering Tree for Implementation of Many to Many Data linkage”, NCFCSIT-14, Sri Ramanujar Engineering College Kolapakkam, March 2014. Lecturer, Department of Computer Science and Engineering, Dr.M.G.R University,2007-2010. Assistant Professor (O.G), Department of Computer Science and Engineering, SRM Institute of Science and Technology, 2010 – 2017. Assistant Professor (Sr.G), Department of Computer Science and Engineering, SRM Institute of Science and Technology, 2017 – Till Date. System Analyst, Directorate of Research and Virtual Education, SRM Institute of Science and Technology, December 2004 – August 2005. Workshop on Big Data Analytics Tools, SRM Institute of Science and Technology, Feb 20-24, 2018. FDP on Python Programming, St. Joseph’s Institute of Technology, May31-Jun2, 2017. FDP on Microcontroller and FPGA Programming Using NI-MYRIO with Sensor Interface, SRM Institute of Science and Technology, Jun 27-30, 2017. Workshop on IOT with Arduino, Pantech Pvt Ltd, July 22, 2017. Workshop on Big Data Analytics Tools, SRM Institute of Science and Technology, Feb 23-27, 2017. National Level Seminar on Structured Approach of Methods and Techniques Behind Research Methodology, SRM Institute of Science and Technology, March 14, 2014. Workshop on Advances in Positioning, Navigation, And Communication, SRM Institute of Science and Technology, July 29-30, 2013. Workshop on Game Development and Design, SRM Institute of Science and Technology, Sep 21-22, 2012. Workshop On Information Security and Ethical Hacking, SRM Institute of Science and Technology, Feb 25-26, 2012. 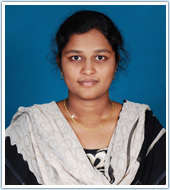 Affiliation: Director, Geneticist, Vasan Institute of Ophthalmology and Research, Chennai. Founder & Director, DualHelix, Arumbakkam, Chennai. Coral, K., Madhavan, J., Pukhraj, R. and Angayarkanni, N. (2012). High Glucose Induced Differential Expression of Lysyl Oxidase and Its Isoform in ARPE-19 Cells. Current Eye Research, 38(1), pp.194-203. Bende, P., Natarajan, K., Marudhamuthu, T. and Madhavan, J. (2012). Severity of Familial Isolated Retinitis Pigmentosa Across Different Inheritance Patterns Among an Asian Indian Cohort. Journal of Pediatric Ophthalmology & Strabismus, 50(1), pp.34-36. Nachiappan, K., Krishnan, T. and Madhavan, J. (2012). Ranibizumab for choroidal neovascular membrane in a rare case of Bietti′s crystalline dystrophy: A case report. Indian Journal of Ophthalmology, 60(3), p.207. Affiliation: School of Mechanical Engineering, Kattankulathur Campus, SRM Institute of Science and Technology (formerly known as SRM University). Teaching associate, School of Mechanical Engineering, SRM Institute of Science and Technology (formerly known as SRM University) since July 2014. Area: Pharmaceutical Biotechnology, Environmental Biotechnology, Bioinformatics, Molecular biology, Gene manipulation and vector biology, Computer simulation and drug design. Pharmaceutical Biotechnology, Environmental Biotechnology, Bioinformatics, Molecular biology, Gene manipulation and vector biology, Computer simulation and drug design. Jaiganesh, R., & Jaganathan, M. K. (2018). Isolation, purification, and characterization of lipase from bacillus sp. from kitchen grease. Asian Journal of Pharmaceutical and Clinical Research, 11(6), 224-227. Rajeswari. S, Jaiganesh. R, Muthukumar. R, and Jaganathan .M. K., Isolation and Characterization of an Agarase Producing Bacteria from Marine Sediment. International Journal of ChemTech Research. Volume 9(4), Page no: 437–446, 2016. Srikanth, S., Swathi, M., Tejaswini, M., Sharmila, G., & Muthukumaran, C. and Jaganathan .M. K (2014). Biocatalysis and Agricultural Biotechnology Statistical optimization of molasses based exopolysaccharide and biomass production by Aureobasidium pullulans MTCC 2195. Biocatalysis and Agricultural Biotechnology, 3(3), 7–12. Vidhya. J, Jaganathan. M.K, sethu. “Histopathological changes in the gill, liver and intestine of freshwater fish, Oreochromis mossambicus exposed to binary mixtures of Dicofol and cypermethrin.” National conference on advancements of applied zoology for sustainable development – current trends and future perspectives, Pachaiyappa College, Chennai, 5-6 october 2017. Sohini M, Jaganathan M.K, Barathi S, Embryonic exposure of Zebrafish to Acephate and Quinalphos: Effects on Neurodevelopment, Behaviour and Post-hatching growth, Recent Trends in Bioscience, International Conference at Alagappa University, Karaikudi, Tamil Nadu, March 21st, 2016. Sohini Mukhopadhyay, Jaganathan MK & Barathi . S, Effect of sublethal dose of monocrotophos on oxidative stress in Zebrafish embryo (Danio rerio), Symposium on Comparative Endocrinology and Integrative Physiology, University of Kerala, Thiruvananthapuram, 4th-7th Aug., 2015. With Dr. S. Barathi, "Effect of pesticide on MAPK pathway"
J.Karthik & P.Jagannathan, “Study of Strength Parameter of Concrete by Replacing Cement by Flyash Enriched with Microbial Agentsai”, International Journal of Engineering andTechnology(IRJET), Vol.02, Issue 01, March –2015. Review paper on Bacterial Concrete. Educational Consultant - at SRM Institute of Science and Technology (formerly known as SRM University), since December 2011.